With a strong focus on customer service, we have thrived on word of mouth referrals. The combined technical expertise, artistic approach, and prompt friendly service, result in two very important outcomes: extremely satisfied customers, and beautiful showcase landscapes. 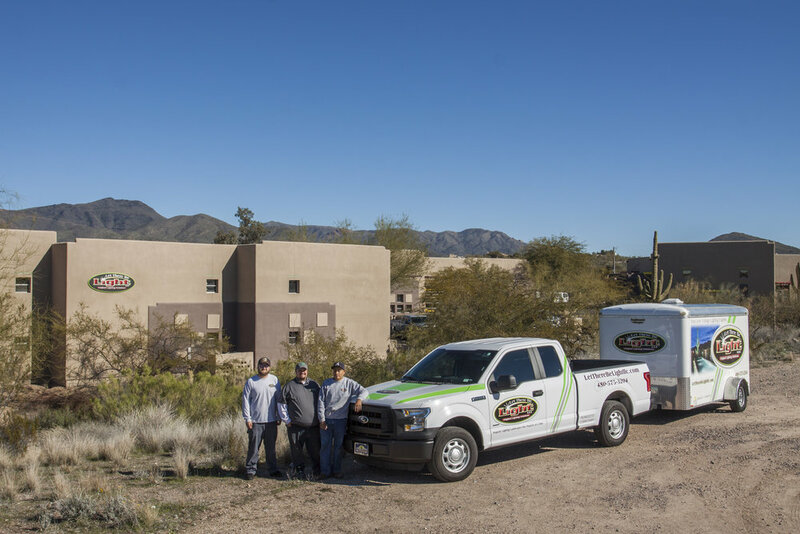 Our lighting experts not only know what they are talking about, they want to help your plan succeed. Our team brings technical knowledge, an eye for design, and a positive attitude that makes the process enjoyable from start to finish. "Great design. Quality equipment. Professional installation. And a great customer service focus." "Our custom job was done very professionally. It looks beautiful and we are very happy with the results." Copyright 2017 Let There Be Light, LLC.